Take on the streets of Rumson in a used Jaguar XJ. Like its siblings in the Jaguar lineup, the XJ boasts the exceptional performance specs and luxurious design elements synonymous with the Jaguar name. When you’re ready to experience an opulent vehicle unmatched in its segment, make the trip from Colts Neck to Jaguar Monmouth to take a used Jaguar XJ for a spin. Still curious as to how the Jaguar XJ can upgrade your Holmdel commute? This vehicle has been seamlessly combining power and style for years. Whatever model year you choose, you’ll be able to take advantage of a plush interior and unparalleled performance specs. On recent models, you can expect mammoth power output of 550 hp from a supercharged 5.0L V8 engine. If you’d like to see how a used Jaguar XJ compares to the brand’s fellow models, compare vehicles to find out which is best for you. 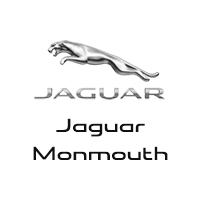 When you’re ready to test out a model in person, visit us at Monmouth Jaguar! We look forward to helping you find your next Jaguar.